I am also periodically invited to teach at other venues. Please see below for my upcoming workshops. Private instruction is also available — please email me to discuss a schedule. Join artist and instructor Takeyce Walter for this inspirational workshop celebrating the beauty of Yaddo’s gardens! Lessons will include the fundamentals of composing and designing the perfect fall landscape while painting in the beautiful outdoors. Takeyce will also discuss and demonstrate techniques to enrich your paintings and offer individual assistance to all students. Please bring a bag lunch. A complete supply list can be found on the website. This workshop is designed for all levels and no experience is required! 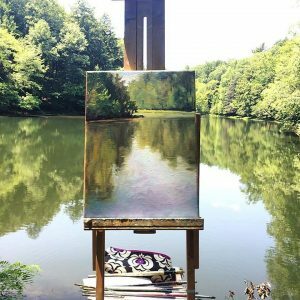 Join Takeyce Walter at Thatcher Park for a day of painting in “Plein Air”. Using beautiful grounds of Thatcher Park as inspiration, lessons will include the fundamentals of composing and designing the perfect farm landscape. Takeyce will discuss and demonstrate techniques to enrich your paintings and offer individual assistance to all students. Takeyce will be working with oil paint, but all mediums are welcome. A supply list will be provided upon registration and supplies are not included in the cost of the class. If you have ever wanted to try oil painting, or haven’t been painting for some time and want to pick up your brushes again this is the workshop for you! Learn how to compose a painting, choose and mix colors, and experiment with a variety of different brushwork and application techniques. Students will have the opportunity to work from a still life for this class as well as landscapes from reference photos provided. 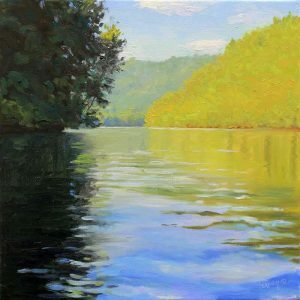 Instructor demonstrations by artist Takeyce Walter, critiques, and one-on-one attention will be offered. There’s no better medium to capture the ever changing shapes and colors of the dramatic sky than pastel! In this workshop, we will focus on aerial and linear perspective to capture beautiful skies. We will focus on clouds, color, and composition. Takeyce will provide demonstrations, critiques, exercises, and assignments to help you grow your skills. We will work from reference images and you will be guided with one on one instruction. Reference material and assignments will be provided. Supply List will be provided upon registration and supplies are not included in the cost of the class/workshop. Even the most seasoned painters at times feel frustrated with their understanding of color. 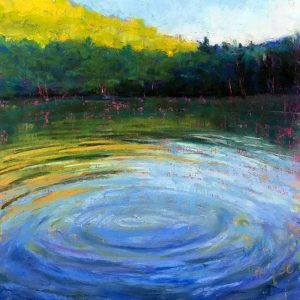 In this workshop, Takeyce will review basic color theory and how to use that knowledge to create harmonious works of art in oil or pastels. We will create a color wheel, and color mixing chart. Instructor demonstrations, critiques and one-on-one guidance will be provided. 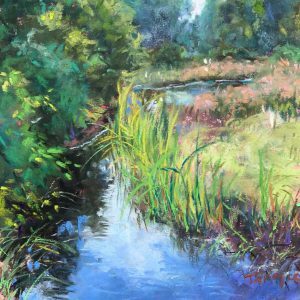 Join Takeyce Walter for lesson in plein air painting in the historic village of Round Lake. Lessons will include the fundamentals of composing and designing the perfect village landscape. Takeyce will discuss and demonstrate techniques to enrich your paintings and offer individual assistance to all students. 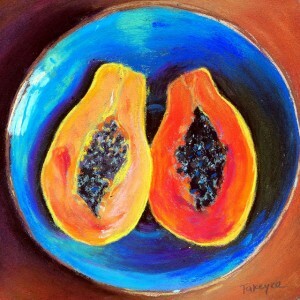 Takeyce will be working with oils and/or pastel, but all mediums are welcome. In this workshop, students will review and discuss master impressionist, Jane Peterson’s artwork, then visit the Art Studio to reproduce their own Jane Peterson artwork under the guidance of Artist-in-Residence Takeyce Walter. 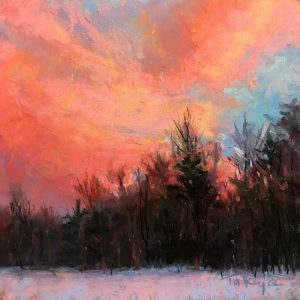 Students can use pastels, watercolor, or acrylic, and will create directed by Jane Peterson imagery. Glens Falls, NY 12801PAST EVENT. 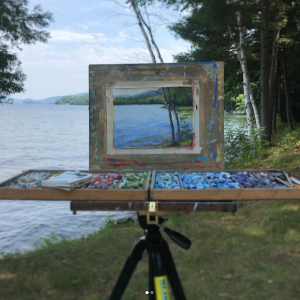 Check back for future dates.In this workshop, students will review and discuss master impressionist, Jane Peterson’s artwork with Artist-in-Residence Takeyce Walter, then venture outdoors to create your own plein air works. PAST EVENT. 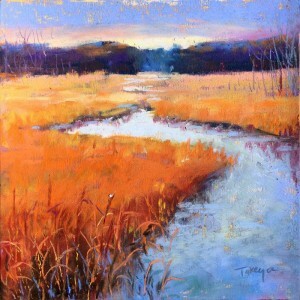 Check back for future dates.Join Takeyce Walter at Indian Ladder Farm for a day of painting in “Plein Air”. Using beautiful grounds of Indian Ladder Farm as inspiration, lessons will include the fundamentals of composing and designing the perfect farm landscape. Takeyce will discuss and demonstrate techniques to enrich your paintings and offer individual assistance to all students. Takeyce will be working with oil paint, but all mediums are welcome. A supply list will be provided upon registration and supplies are not included in the cost of the class. PAST WORKSHOPS – Check back for future dates! The Masters have provided inspiration to artists for centuries, whether it’s learning the masters’ techniques, modeling compositions based on their masterpieces, even using their work as an inspiration for color choices. In this workshop, Takeyce will discuss the work and processes of the great Impressionist masters like Claude Monet, Berthe Morisot, Degas, and Mary Cassatt, demonstrate their techniques and offer individual assistance to all students. Takeyce will also review works of current masters and compare how they have even learned from the old masters. Instructor demonstrations, critiques and one on one guidance will be provided. The workshop is open to all media but Takeyce will be working in oil and soft pastels. A supply list will be provided upon registration and supplies are not included in the cost of the class. Private instruction is also available — please email me to discuss a schedule. We had such a good time yesterday. I am still thinking and engaged with “pastels” this morning. Just saying the workshop has wonderful “spillover” effects. You’re a fine teacher, and I appreciate so much your preparations, demonstrations and instruction. All are gentle and open. You create an ideal environment for creative expression. 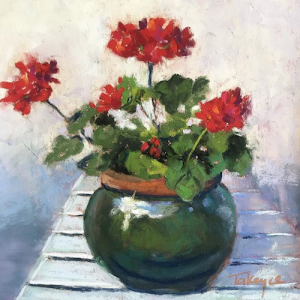 Takeyce was delightful…….organized, informative, two demos given , a wonderful teacher and we all went home with two completed paintings each. So glad I am signed up for her two upcoming classes…….please keep her coming back!! Please check back often, as new classes are added frequently. As always, you can contact me at any time with questions or comments.